HomeBlogUncategorizedDo you rely on marketplaces to track your payments? 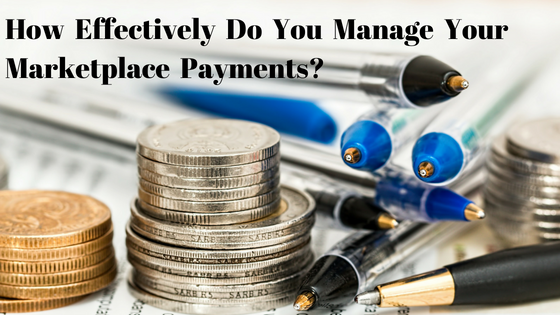 Being an online seller, how have you been managing your marketplace payments! Manually? We understand sellers with an online presence have hundreds of transactions to manage over the period. These transactions primarily include the new orders, returns, fulfilled orders, completed orders, and payment received from the marketplace. Also, no wonder these transactions become a thousand, especially during peak sale trading days. With ever-growing e-commerce space, online sellers tend to sell on multiple marketplaces. This not only builds more avenues for revenues but also increases the load of managing multiple transactions at a time. It is a tedious and complicated task especially in the case of high sales. With frequent policy changes, it is not easy to track orders, returns, listing fee, fulfilment fee, logistic fee, penalties & cancellations to calculate final payment due. What are the options sellers’ left with? You’ll find a seller payment dashboard on every marketplace containing the records of the payments you have received against each of the item sold. Therefore, this method works best for the sellers who sell limited products on 1-2 online. However, this method gets extremely complicated once you begin to scale up and start selling on multiple marketplaces. Since every marketplace has its policy of scheduling and imposing the payments on sellers, tracking the payments via marketplaces become complex if considered for a long-term basis. Microsoft Excel is an extremely flexible tool to measure and implement payment reconciliation method at e-commerce workstations. However, the management of spreadsheets can be a difficult and tedious way of storing data in the long-term. Most of the e-commerce sellers don’t prefer to opt for the manual management of payments via excel spreadsheets due to data security reasons. Depending on manual tracks or the marketplace records for managing your payments might lead you to revenue losses. To avoid such losses and save your efforts, there are many E-commerce and Reconciliation software launched in the market. The reconciliation software is programmed to fetch the payment, a seller has actually received in the marketplace. With the innovative payment reconciliation systems available in the market, you can now easily identify the payment received from the channel for a particular order and compare it to the procurement cost of that product defined in that system. Merchants who have scaled their business and selling on multiple marketplaces and receive a high number of orders on a monthly basis are looking for the E-commerce technology solutions to outsource their multichannel operational tasks including payment reconciliation to order and inventory management. Third-party e-commerce technology providers like Unicommerce with their comprehensive Dashboards and reports thereby help the sellers to keep track of their Marketplace payments, received/outstanding payment, and filter the payments with unreasonable/extra deductions as “Disputed”. To know more, Register here, Unicommerce Specialists will connect you for a free demo!